Silicon Valley has been the launching pad for innovative technology companies for over 100 years. The modern history of Silicon Valley can be traced over 50 years ago with the founding of Fairchild Semiconductor in San Jose in 1957. Companies that followed like Intel, Apple, Netscape, Google and Facebook have changed the practice of technology management worldwide. Global supply chain management and design thinking, in addition to traditional technology and R&D management, have been merged into an integrated management process. Managing virtual, multicultural and multi-country technology teams has also become integral to high-tech enterprise success. So what can we learn from the history and technology management prowess of Silicon Valley? What is the secret sauce of success? How has technology management been redefined? What role does “failure” play in technology management? We will explore the history of Silicon Valley, its entrepreneurship and innovation-based culture, its ability to reinvent itself about every decade, and some of the lessons for managing a technology-based enterprise. Dr. David M. Steele joined San Jose State University (SJSU) as Dean, College of Business and Lucas Graduate School of Business, in July, 2008. He is building on the College’s strengths by enhancing academic quality and student success; and by emphasizing practical business knowledge and global business education, including the new Thompson Global Internship Program. 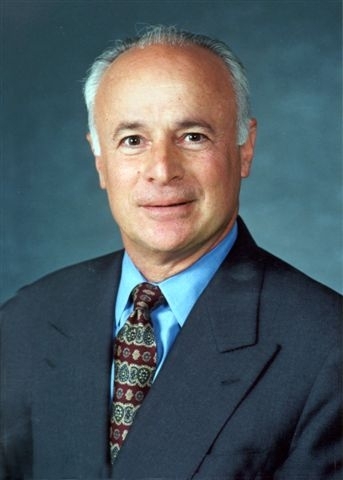 Previously, he was Dean of the Silberman College of Business at Fairleigh Dickinson University, which includes the prestigious Rothman Institute of Entrepreneurial Studies; and Professor and Dean of the College of Business at Florida Institute of Technology. Dr. Steele rose through the ranks of Chevron Corporation (ranked Fortune # 3 today) to become President of Chevron Latin America. He had a broadly diversified career track in R&D, project engineering, finance, strategic planning, and IT before moving to senior executive management positions. After leaving Chevron, Dr. Steele was an Executive Consultant to the founders of four international early-stage ventures, serving as Interim CEO of one of these ventures, a software startup. Dr. Steele attended Birmingham University in England, receiving BS and Ph.D. degrees in Chemical Engineering. He later completed graduate business training at UC Berkeley and at the Wharton School. Emerging technologies are critically important and difficult to define. But we do define them! Are they emerging today or many indefinite decades from today? Are they managed in identical fashion in nanotechnology, biotechnology, information technology, energy technology, etc.? I don't think so. After working for decades on technologies that have emerged or on some still emerging technologies or on not quite yet emerging technologies, and also having researched and taught the basics of the management of technology, in these reflections I will attempt to explore some of the continuing issues and dilemmas of the management of emerging technologies. Dr. Daniel Berg is a Distinguished Research Professor of Engineering at the University of Miami. Previously, he was Dean and Provost at Carnegie Mellon University (CMU) as well as Provost and President at Rensselaer Polytechnic Institute (RPI) and Institute Professor of Science and Technology. He received his B.S. in Chemistry and Physics from the City College of New York and his M.S. and Ph.D. in Physical Chemistry from Yale. He was employed by Westinghouse Electric in a variety of technical/managerial positions including Technical Director. Dr. Berg serves as the American Editor of the International Journal of Services Technology and Management. He is the author of four books, five book chapters and over 80 refereed journal articles. He is a member of the National Academy of Engineering, a Life Fellow of the Institute of Electrical and Electronic Engineers (IEEE), a Fellow of INFORMS, and a Fellow of the American Association for the Advancement of Science. Dr. Berg’s many awards and honors include the IEEE Engineering Management Section Educator of the Year Award; the IAMOT Award for Distinguished Achievement in Management of Technology; the IEEE Educational Activities Board Meritorious Achievement Award in Continuing Education; the National Academy of Engineering Service Award; the Townsend Harris Medal, City College of New York; the Wilbur Cross Medal, Yale University; and the Belden Prize for Mathematics. It is commonly accepted that large complex systems will take many years to design, develop, and deploy. This is the case because wrong design decisions are often made during the course of development. If the design of the system avoids coupling of functional requirements (FRs) and is properly decomposed, it can significantly reduce time and cost. We created three large innovative systems that support this claim: On-Line Electric Vehicle (OLEV), Mobile Harbor (MH), and Mixalloy. Between 2009 and 2011, we designed, developed and commercialized the OLEV system, an electric vehicle that receives its electric power wirelessly from an underground cable. It was selected as one of the “50 Best Inventions of 2010” by TIME. The mobile harbor (MH), equipped with cranes, goes out to large container ships parked in rough open sea to load and unload containers, and then transports them to the port nearest to the final destination of the containers, eliminating the need for large harbors. Mobile Harbor was ranked second in the "10 Best Start-up Ideas of 2011" by StartupSmart. Finally, Mixalloy (a Cu/TiB2 dispersion alloy) was developed in three years from a theoretical concept to mass production and commercialization. The use of Axiomatic Design Theory enabled rapid development of these complex systems. We checked the viability and acceptability of proposed designs by constructing the system architecture as the system is being developed. These examples suggest that the management of technology development can be made more rigorous and effective by using a theory based design process. Dr. Nam Pyo Suh has been the President of the Korea Advanced Institute of Science and Technology (KAIST) since July 13, 2006. Dr. Suh was a member of the Presidential Committee on Science and Technology of Korea (2009-2010) and the chairman of the Commission for New Economic Growth of the Ministry of Economy and Knowledge (2008-2009). He was also the President of the Accreditation Board of Engineering Education of Korea (ABEEK). Previously, he had been at MIT (1970-2008), where he was Director of the Park Center for Complex Systems (formerly the Manufacturing Institute) and the Head of the Department of Mechanical Engineering (1991-2001). He was also the Founding Director of the MIT Laboratory for Manufacturing and Productivity (1977-1984), the Founder and Director of the MIT-Industry Polymer Processing Program (1973-1984). He is now the Ralph E. & Eloise F. Cross Professor, Emeritus. In October 1984, Professor Suh took a leave of absence from MIT to accept a Presidential Appointment at the National Science Foundation, where he was in charge of engineering. He returned to MIT in January 1988. For his contributions, he received the Distinguished Service Award of the National Science Foundation. Dr. Suh has received many awards and honors. He received seven honorary doctoral degrees: Doctor of Humane Letters from the University of Massachusetts-Lowell in 1988, Doctor of Engineering from Worcester Polytechnic Institute in 1986, Honorary Doctor (Tekn. Hedersdoktor) from the Royal Institute of Technology (KTH), Stockholm, Sweden, in 2000, Doctor of Engineering Honoris Causa, University of Queensland in 2007, Doctor Scientiarum Honoris Causa from the Technion, Israel Institute of Technology in 2007, Doctor of Science and Technology from Carnegie-Mellon University in 2008, and Honoris Causa from Babeş-Bolyai University, Cluj-Napoca, Romania, in 2009. Also, in 2011 the Technical University of Denmark awarded him the Gold Medal, its highest honor. In 2011, the Society for Design and Process Science (SDPS) selected him for the 2011 transformative Achievement Medal and the Korea Economic Institute awarded him the Korean-American Achievement Award. In 2008, he was given the second Pony Chung Award of the Pony Chung Foundation and the Inchon Education Award of the Inchon Memorial Foundation. He received the F.W. Taylor Research Award of SME; an SPE Best Paper Award; Federal (NSF) Engineer of the Year Award from NSPE; and the American Society for Engineering Education Centennial Medallion. He was also awarded the National Science Foundation's Distinguished Service Award. In 1994, he was awarded the KBS Korean Compatriot Award for Scholarly Achievements. He is also the winner of the 1997 Ho-Am Prize for Engineering. In 2000, he was the recipient of the Mensforth International Gold Medal of the Institution of Electrical Engineers of the United Kingdom. In 2001, he received the Hills Millennium Award from the Institution of Engineering Designers of the United Kingdom. In 2006, the Academy of Transdisciplinary Learning and Advanced Studies (Society for Design and Process Science) awarded him the Academy Gold Medal of Honor. In 2007, he received the Lifetime Achievement Award of SPE. He was awarded the 2008 Proud Korean award for educational contributions by the Korea Association of Journalists and the Distinguished Alumni Award by Carnegie Mellon University. He is the author of over 300 papers and seven books, holds more than 70 patents, and edited several books. Among the books he has authored are Elements of the Mechanical Behavior of Solids (with A.P.L. Turner published by McGraw-Hill, 1975), Tribophysics (Prentice-Hall, 1986; translated into Chinese), The Principles of Design (Oxford University Press, 1990; translated into Japanese and Korean), The Delamination Theory of Wear (Elsevier, 1974), Axiomatic Design: Advances and Applications (Oxford University Press, 2001, also translated into Japanese and Chinese), Complexity: Theory and Applications (Oxford University Press, 2004), and Axiomatic Design and Fabrication of Composite Structures (with D. G. Lee, Oxford University Press, 2004). His contributions to the field of tribology include the delamination theory of wear, the solution wear theory, a theory on the genesis of friction, coated cutting tools, the use of undulated surfaces to lower friction and wear, and new woven electrical connectors. The Institute of Scientific Information (ISI) chose his paper on delamination theory of wear as the citation classic. His invention of electric connectors that have low friction and low contact resistance (originally manufactured by Tribotek, Inc., now acquired by Methode Electronics, Inc.) received the Product of the Year award of Power Electronics Technology magazine in 2005. In the field of design, he has developed Axiomatic Design theory, which is taught worldwide. It is required for certification of Master Black Belts by the American Society of Quality. He also advanced a theory of complexity and the concept of Functional Periodicity. In the field of polymer processing, he invented many industrially important processes and devices, including microcellular plastics (commercially known as MuCell, trademark of Trexel, Inc.), the USM foam molding process, the Axiometer for moisture measurement in polymers, the Electrostatic Charge Decay NDE technique (commercialized by QEA, Inc.), and the foam/straight plastic lamination/forming process (sold in billions by Sweetheart Plastics, Inc.). In metal processing, he is the inventor of a new metal processing technique called the Mixalloy Process. At KAIST, he invented the on-line electric vehicle (OLEV) and the Mobile Harbor (MH). OLEV is being commercialized by two firms. Professor Suh was a Series Editor for the Advanced Manufacturing Series and an Editor of the MIT/Pappalardo Series in Mechanical Engineering of Oxford University Press. 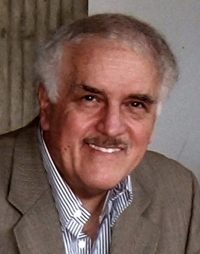 He was also the Founding Co-Editor-in-Chief of the International Journal Robotics and Computer-Integrated Manufacturing from 1981 to 1996, and also serves on editorial boards of many journals. He is a member of the Board of Directors of Axiomatic Design Software, Inc., and Parker Vision, Inc. He is a member of the Board of Trustees of King Abdullah University of Science and Technology (KAUST) and a member of the International Advisory Board of the King Fahd University of Petroleum and Minerals (KFUPM) of Saudi Arabia, and the Khalifar University of Science, Technology and Research (KUSTAR) of UAE. He has been a consultant for many industrial firms. He was a member of the board of directors of Silicon Valley Group, Inc., Therma Wave, Inc., the founder and member of the board of directors of Trexel, Inc., Integrated Device Technologies, and Triboteck, Inc. He is a Fellow of the University of Tokyo. He is an Honorary Professor at Yanbian University of Science and Technology, China; Honorary Professor of the University of Hong Kong; and Advisory Professor of Shanghai Jiaotong University, China. He was an Eminent Visiting Professor at the Korea Advanced Institute of Science and Technology, Korea. He has been on visiting committees of Georgia Institute of Technology, Stanford University, the University of Michigan, and the University of California - Berkeley. He was a member of the DoD Panel on “Global War on Terrorism” and served on a research award committee of ASEE. He was a consultant of the Lawrence Livermore National Laboratory and Korea Electric Power Research Institute. He was a member of the Visiting Committee for the National Institute of Standards and Technology (a statutory committee). In addition, he was a member of the Development and Advisory Council of the Texas A&M University Department of Mechanical Engineering and a member of the Science Board of MacroChem Corporation. He served on advisory committees of the Lawrence Livermore National Laboratory, the Idaho National Engineering Laboratory, and Alcan Aluminum Corporation. He was a member of several NRC and NAE committees. He was also the chairman of the ASME Productivity Committee. He was a member of the Scientific Committee of the ENDREA Program of Sweden. He also evaluated a Kplus Center in Austria. He has consulted extensively for governments, the World Bank, the United Nations, universities, and many industrial firms throughout the world on various technical matters, the development of economic policies, and the creation of new products and processes. He was the architect of the Five-Year (1980-85) Economic Development Plan of the Republic of Korea. Professor Suh was educated at Buckingham, Browne and Nichols School (1955), MIT (S.B., 1959, and S.M., 1961) and Carnegie-Mellon University (Ph.D., 1964). Bulent Atalay, physicist, artist and author, compares the modus operandi of Leonardo da Vinci, Steve Jobs and Isaac Newton, underscoring the ways these three extraordinarily gifted individuals altered forever the way we see the world. This is a talk about how science and art can complement each other. But it is also about maximizing creativity by cross-fertilizing diverse disciplines. “Universal genius” Leonardo was the ultimate master of integrating art and science. In our own time Steve Jobs made it a practice to marry the best of form and function, indeed, better than anyone else had done since the Renaissance genius Leonardo. Finally, Isaac Newton, the greatest scientist-mathematician ever, who personally had little use for art, succeeded in irreversibly marrying mathematics and natural law (science). This cross-fertilization came in his monumental book, Principia, that fueled the Industrial Revolution, and signaled the beginning of the Enlightenment. For inventing the open-ended intellectual system — modern science — Newton has to be regarded as the architect of the modern age. Bulent Atalay was born in Ankara, Turkey. After his early education at Eton (UK) and St. Andrew's School (Delaware), site of the 1989 Robin Williams film, Dead Poets Society, he received BS, MS, MA and Ph.D. degrees and completed post-doctoral work in theoretical physics at Georgetown, UC-Berkeley, Princeton and Oxford. He is a professor of physics at the University of Mary Washington, an adjunct professor at the University of Virginia, and a member of the Institute for Advanced Study at Princeton. He is also an accomplished artist who has presented his works in one-man exhibitions in London and Washington. His two books of lithographs, Lands of Washington and Oxford and the English Countryside, can be found in the permanent collections of Buckingham Palace, the Smithsonian, and the White House. He lectures around the world on disparate subjects — he has spoken to physicists and engineers at NASA, physicians at Johns Hopkins and NIH, and to academics at Caltech, Stanford, and Harvard. His highly acclaimed book, Math and the Mona Lisa (Smithsonian Books, 2004), has appeared in 12 languages. His most recent book, Leonardo's Universe (National Geographic Books, 2009) was chosen by the Encyclopedia Britannica blog writer as “One of ten must-have books for the year.” After the plenary session, he will sign copies of his books for the audience. His website can be seen at www.bulentatalay.com. This presentation will analyze the pitfalls of the economic system and our society’s neglect of technology management as a strong driver for growth and prosperity. While companies as well as governments focus on financial solutions, many overlook the potential and power of technology and its management. It may well be the only hope for the U.S. economy today for keeping its leadership position. Based on studying the role of government, industry, and academia, this presentation will show what each one of these sectors can do to help the economy grow again. Dr. Aaron Shenhar is a leading expert in project and program management, technology management, and execution leadership. He holds five academic degrees in engineering and management, including three degrees from Stanford University and two from the Technion in Israel. He was named, “Engineering Manager of the Year,” by the Engineering Management Society of IEEE, and was the first recipient of the Project Management Institute (PMI) Research Achievement Award. Dr. Shenhar is a Fellow and Member of the Science Council of NASA USRA Center for Program and Project Management Research. Dr. Shenhar is also an experienced manager and executive. He served in the Israeli Navy, before joining the defense industry in Israel, where he has been involved in managing projects, innovation, R&D, and high technology businesses for almost 20 years. Working for Rafael, Advanced Defense Systems, he participated in all phases of engineering and management, from project manager up through the highest executive posts. As executive, he served as Corporate Vice President, Human Resources, and later, President of the Electronic Systems Division. In his second career of over 20 years in academia, he was a tenured professor, serving at several universities where he founded new programs in areas such as Project Management at Stevens Institute of Technology, Master of Business and Science at Rutgers University, Executive Education at the University of Minnesota, and MBA in Technology Management and a Master’s in Systems Engineering Management at Tel-Aviv University. Dr. Shenhar's research has focused on project and program management, and technology and innovation management. He is also focusing on the leadership of professionals in technology-based organizations. He developed the concepts of Strategic Project Leadership(R) as well as the “Diamond Approach” that help corporations focus projects on business results and dynamically adapt their management practices to the specific project context. With over 150 publications, which were cited more than 2,400 times and published in leading journals such as Strategic Management Journal, Management Science, Sloan Management Review, Research Policy, or IEEE Transactions on Engineering Management, his writings have influenced project and technology management research and education around the world. His publications are highly regarded and used in the curriculum of corporate and university programs in project and technology management. He served as consultant to major corporations such as Intel, 3M, Honeywell, AT&T, Trane, Dow Jones & Co., US Army, NASA, NSA, Lockheed Martin, Tata Industries, and Israel Aerospace Industry. In 1993 he led a team of 30 researchers in an industry-wide study involving most defense development programs in Israel, and resulting in recommendations to the defense department on how to overhaul the industry and the department’s acquisition and program management processes. In 2005 he led a large NASA study building a NASA-specific program management framework. Dr. Shenhar has also developed the framework used by the Aerospace Industry Program Excellence Award and is serving as a member of Aviation Week’s evaluation team. Dr. Shenhar is currently CEO of The SPL Group, an education and consulting group dedicated to aligning business and projects in industry and government. He is co-author of the recent book Reinventing Project Management: The Diamond Approach to Successful Growth and Innovation, Harvard Business School Press. The book was selected among the top five best business books of 2007. From the early 1960s, Thailand is a country that strives to move up the technology ladder toward being a high-tech country. Yet, it seems Thailand has not done well enough compared to other similar countries. Based on personal experiences in both public R&D organizations (microelectronics, semiconductor industry) and private sectors (automotive and software), I would like to share with the audience the paths Thailand has taken, the achievements, the challenges it is facing, and the possible technological and industrial roadmaps for Thailand from a personal perspective. I would also like to define “power devices and green electronics” to be the crucial keywords for Thailand’s automotive and electronics industries to survive and thrive in the coming decades. Dr. Itti Rittaporn is an executive with Toyota Tsusho Electronics (Thailand) Co., Ltd., in charge of new business development in the areas of ITS, traffic information services, small EV development and smart mobility, and smart energy management. Dr. Rittaporn was principle researcher at the International Superconductivity Technology Center/Superconductor Research Laboratory, a project under METI/NEDO funding, from 1988－1996. He was Deputy Director of the National Electronics and Computer Technology Center (NECTEC), Thailand, where he was in charge of building the first silicon wafer fabrication line from 1996－2006. In 2006 he joined Toyota Tsusho Electronics, Japan, and was in charge of offshore embedded software business development, ITS, and smart energy related projects. Dr. Rittaporn received the Japanese Government Monbusho Scholarship to study in Japan in 1978. He received bachelor’s (1983), master’s (1985) and Ph.D. (1988) degrees in Applied Physics from the University of Tokyo.